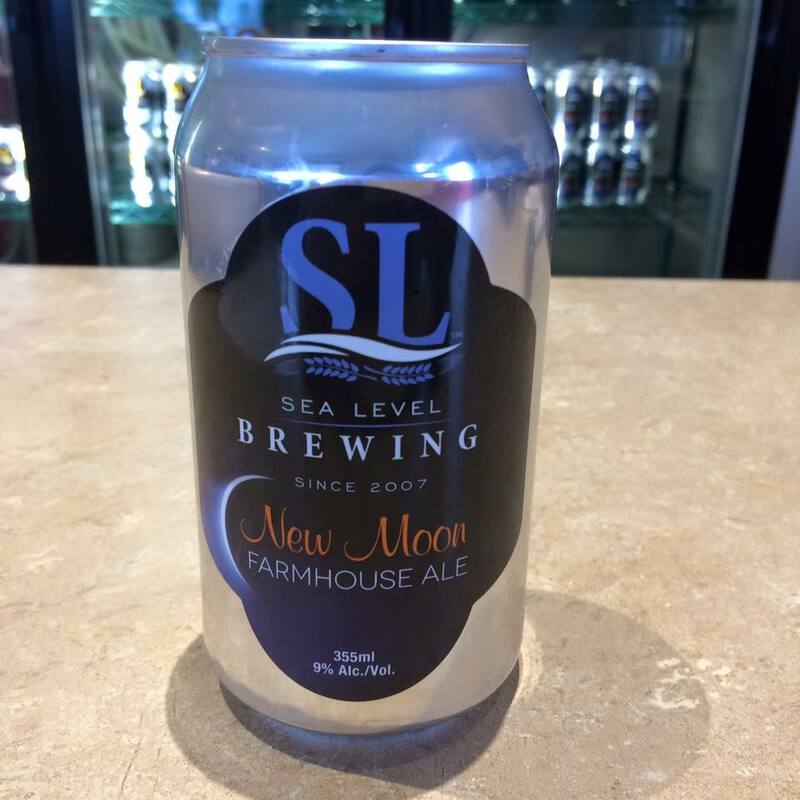 (Port Williams, NS) - Sea Level Brewing released New Moon Farmhouse Ale. It was inspired by a quote from a small Belgian brewery "more works of art than products of brewing science". Interesting story of how the beer came to being. Randy Lawrence became friends with a lady from Belgium while in Nova Scotia. After she returned home she came across an old book that contained beer recipes and asked if he was interested in it. Of course he was and asked her to send it to him. When it arrived he excitedly opened the package to find that all the recipes were written in Flemish. Crestfallen he wondered how he could have this translated. Well fate can work for you or against you but a friend of his knew someone to translate it. 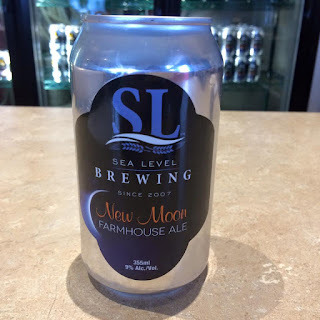 Sea Level says Randy used loads of dried oranges peel in both the fermenter and brite tanks. It is a very limited edition 9% ABV beer available now at the brewery in growlers and cans, in cans at the privates stores in Halifax and select taps where Seal Level is found.